BARRY LONG was born in Sydney in 1926 and spent his first 38 years in Australia. His early career was in newspapers, starting as an office boy and ending as editor of a Sydney Sunday paper. An ambitious young man, he thrived in the world of competition and materialism. At one time he was press secretary to the Opposition leader in the New South Wales parliament. He got married and became a father. But the career of the thrusting executive and devoted family man was short-lived. Around the age of 31 something in him changed. Inexplicably the knowledge and love of God started to rise in him. And with it came the awful suffering of dying to his self and the dawning of an unshakeable perception of truth. Looking for some reality in the world, he read and talked and questioned - and tested against his own experience - everything that was presented as the truth. He pursued his new found purpose with passionate intelligence, and his one-pointed zeal brought him to a point of crisis. The unendurable longing for something real manifested as the consuming love of a woman. He abandoned his career, left his family and homeland, and with her he set out for India, landed in Madras (Chennai) and drove to the Himalayas. He would have sat at the feet of a guru if he'd been able to find one. But Meher Baba had just gone into seclusion, and when he saw J.Krishnamurti privately, there was nothing to say. The woman returned to Australia and finished with him. In a bungalow in Almora in the foothills of the Himalayas, alone and rapt in desolation, he faced the truth of himself, passed through the illusion of death and entered what he called the realisation of immortality. Up in the hills, in meditation, he discovered many things and being a writer he wrote some of them down. He thought he might get them published if he went to London so he travelled to England. Nobody was interested in his manuscripts at this time, but he got work as a sub-editor in London's Fleet Street. Whenever Barry wasn't busy at work he was busy writing and talking to a small group of people who'd gathered around him. He was developing the ability to talk on any subject and demonstrate the truth of it in the listener's experience. He was continually put to the test as his self-knowledge continued to deepen. For a few weeks one of his 'students' actually became his teacher and pushed him to a new point of realisation - what he calls the transcendental realisation. Throughout the 1970s he earned his living by writing. Working at home he was able to devote more of his life to the truth. In the early 1980s the people who had been meeting with Barry regularly undertook to introduce him to a wider public. He began to give open meetings and meditation classes in London, and these attracted increasing numbers. His work at this time was gnostic in character and his insights and perceptions were set down in a revelatory book The Origins of Man and the Universe first published in 1984 by Routledge & Kegan Paul. 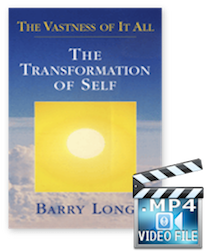 By 1985 The Barry Long Foundation was established in England as a registered educational charity arranging public meetings and seminars and publishing a series of books and audio teaching tapes. The next year Barry moved to Australia and set about making his teaching known in his own country from which he had been absent for twenty years. 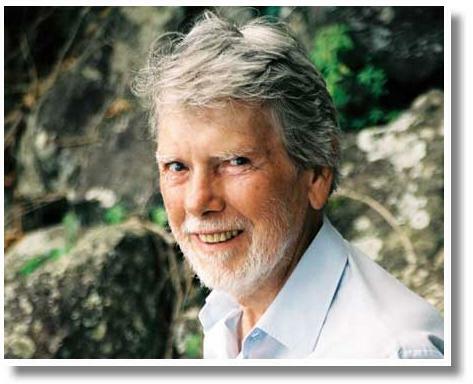 From his home on Tamborine Mountain on the Gold Coast of Queensland he established the Barry Long Centre, held seminars in most of the major cities in Australia, and also went to New Zealand. Over the next few years as well as teaching widely in Australia, Barry often returned to England and there were extensive tours of Europe, Scandinavia and North America. He presented The Course in Being all over the world from Santa Fe in New Mexico to St Petersburg in Russia, from Sydney to Copenhagen, and from Vancouver to Jamaica. In 1993 he introduced The Master Session, an annual 16-day teaching event held in late October at Cabarita Beach in northern New South Wales, Australia. 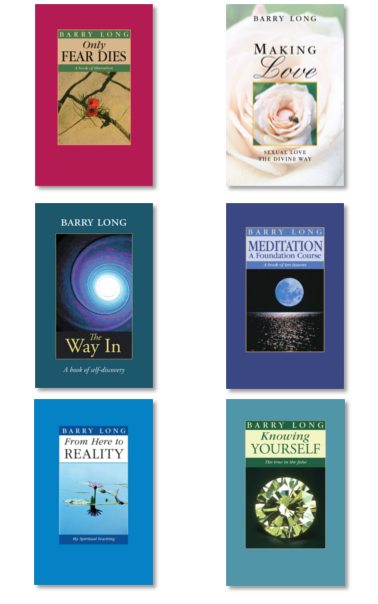 In 1994 Barry Long Books (the publishing arm of The Barry Long Foundation) began releasing new editions of his written works. These are distributed through the book trade in America, Europe, Australia, New Zealand and South Africa. Many of the books are also published in foreign language editions by other publishers. Currently Barry Long's work has been published in 11 languages. In 1996 The Barry Long Foundation International, based in Australia, took over the worldwide organisation of Barry Long's work. The Foundation was responsible for arranging all his public meetings and offered a mail-order service for his expanding range of books, audio and video tapes. In 1998 Barry Long held his last meeting in Europe, The European Session, a nine-day event with in excess of 600 participants. From that time Barry only taught in Australia. The annual Australian Master Session continued to attract 300 - 500 people from around the world. 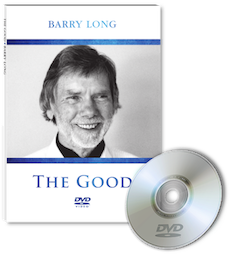 Barry gave his last public teaching at the 14-day Master Session on the Gold Coast, Queensland, in November 2002. In the last year of his life he continued to write. Barry Long died on 6 December 2003, at the age of 77. It was his wish that his books and tapes should continue to be published and be made available by The Barry Long Foundation International. Remarkable article written by Barry Long as he was dying. 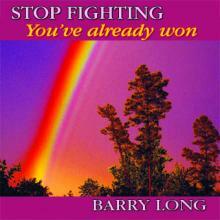 Barry Long's last word on truth, love, living and the great myth of life on earth. Filmed 19 May 1989 at The Victoria Rooms, Bristol, UK. A new possibility, a way of being which takes the personal affliction out of circumstance.